NAOBF lucked out this year in terms of weather. 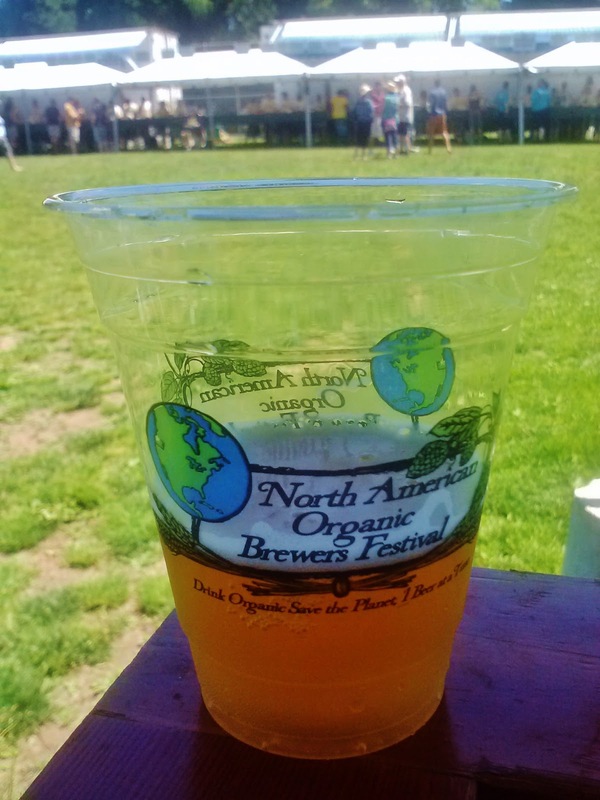 After a soggy festival last year, this year's four-day event highlighting organic beer is turning out to be sun-drenched. 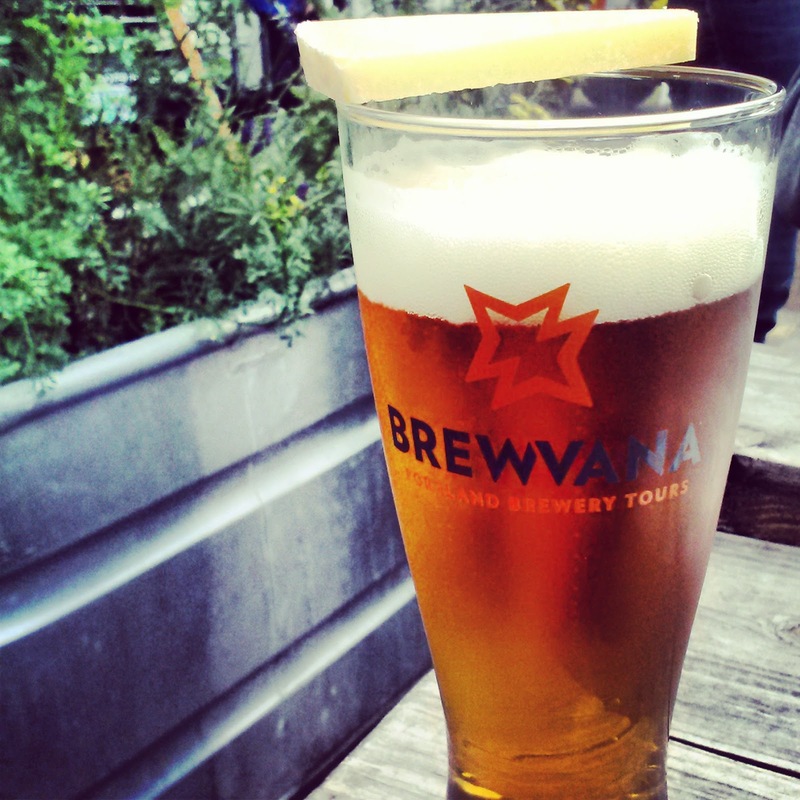 Many of the beers pouring are lighter in flavor and alcohol, perfect for drinking outdoors on a beautiful summer day. We arrived Friday afternoon, the second day of the festival, just before the gates opened at noon. While waiting we ran into a couple of friends who, after the gates opened, hightailed it to nab a table under a gigantic tree (something I would highly recommend). Between our shaded and relatively cool seating area and the beer tents was a pretty warm, muggy walk. For the most part the walk was worth it; I found few beers that I disliked among the 10-15 I tasted. Hopworks Totally Radler, a 60/40 blend of their lager and lemonade. Clocking in at a mere 3.1% ABV and being skillfully blended so that it refrained from being too sweet and retained some beer flavor, this beer screamed, "I'm perfect for drinking today!" Ft George Spruce Budd Ale, an ale made with, yes, spruce buds/tips. While there was a certain lager quality to the aroma and the spruce tips were more of a suggestion than an outright flavor, it was a very enjoyable beer. As with the radler, this, too was a sessionable beer at 5% ABV. Ambacht G++ Ale, an 8.5% ABV bourbon barrel aged beer. This was the only two-ticket beer I had and I was skeptical that it was going to be worth it. Thankfully my doubts were washed away with a very obvious bourbon barrel aroma and a pleasant cherry flavor that had a hint of sourness to it. Reverend Nat's Overlook Heirloom Cider, a deceptively easy drinker for 8.7% ABV. There was a bit of barnyard to this cider and none of the cloying sweetness sometimes found in ciders. The only downside to this beer is that it was made specifically for NAOBF. I'm keeping my fingers crossed that they'll get enough good feedback to make it again in the future so that I can enjoy more of it. Overall it was a great afternoon of beer and friends on a summer day. There are still two more days of the festival and it looks like the summer weather will hold out so get out and enjoy! 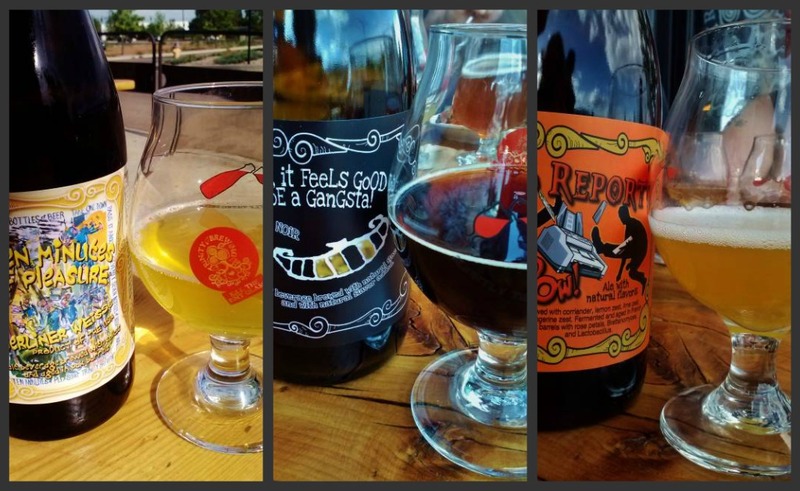 Recently my friend, Cal, who is also a beer lover and blogger asked me about my method for planning beer trips. He goes on beer trips more frequently than I do and his often take him further afield but we both enjoy reading about each other's travels. 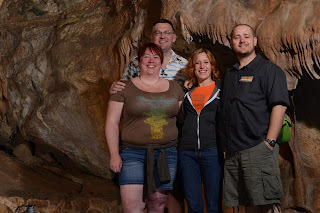 Our recent trips, to Colorado Springs and Chicago, respectively, prompted the idea to talk about how each of us plan our trips. Mag and I have been doing beer trips for at least 12 years. The early ones predate this blog; the most recent one was earlier in the month to Colorado Springs. Only four days total, this trip was somewhat shorter and less intense than some of them in the early years. Those were longer, involved more driving but also involved more people. These days it's harder to coordinate schedules so either it's just the two of us or if we're lucky, another couple. Now that you have a little background, on to the planning. Step 1: Figure out a date and/or physical location. Maybe there is a specific event going on (i.e. festival), maybe we want to take a trip over a specific set of days or maybe we found great airfares to a location. Step 2: Start determining locations (i.e. cities or breweries) that could be visited. Step 3: Develop a sample itinerary of breweries/brewpubs. Step 4: Book needed travel (i.e. flight and/or rental car). Step 5: Revisit locations on the sample itinerary, modifying it to add or remove locations. Overall, it's pretty simple but we've discovered the importance of knowing the temperament of those going on the trip. In the early years our trips involved more driving between locations, staying in a new location every night (sometimes even forgoing a hotel/B&B for camping). These days we usually pick a central point so that we can stay at the same hotel/B&B every night and at most, do longish day trips. Additionally, we have begun adding in "touristy", non-beer things, particularly in the mornings because I can tell you from experience that starting a full day of drinking by 11 am (possibly even at breakfast) for days on end is brutal. 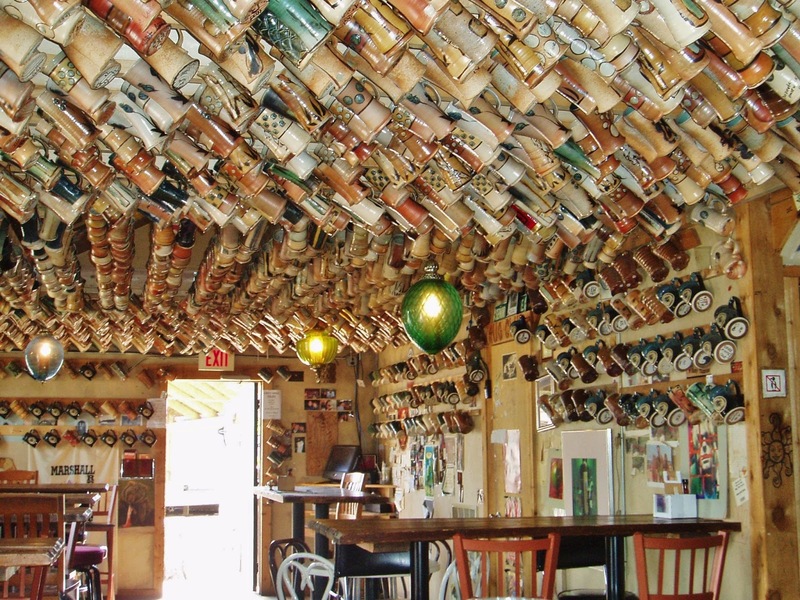 As far as determining the breweries/brewpubs to visit, these come from a variety of sources. If we've been to the area before, places we've enjoyed previously go straight on the list. Then to determine what else has sprouted up I'll utilize a Google search, ideas from friends (or strangers) who have been there recently and if they are accessible, I'll consult a printed brewing publication (as I did when we went to Seattle last fall since the whole Pacific Northwest is in one edition). The day by day planning has evolved as well. In the beginning, it was much more regimented, primarily because we had to do X, Y and Z on Day 1 since we'd be driving on to A, B and C for Day 2 with no way to go back. These days, as long as we're going to be staying in the same place for multiple nights, the itinerary can be more flexible with some "must see and do" things each day but also ones that can float around. 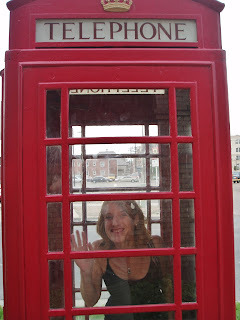 It's those "must see and do" places that are the building blocks of my itinerary. 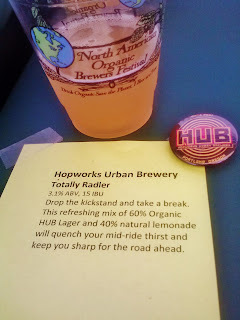 For example, on our recent trip to Colorado Springs Trinity Brewing's release of their Berliner Weisse was taking place at 5:00 pm on the Friday we were in town. I build Friday's schedule around that, figuring out what other places were in the vicinity that we could visit as well as looking at what was on the travel route between there, our hotel and our morning “touristy” activity, Cave of the Winds. On this trip our itinerary got a fair number of modifications. On Day 1, at our second stop, we talked to a local and found out about a place we hadn't heard of. By going there we missed hitting two places we were supposed to go to later in the day. No problem, we were able to hit them on Day 3. Additionally, while sitting at a brewery on Day 2, I thumbed through one of the printed brewing publications and we added a new place to Day 3. So much about planning a beer trip depends on your personal style but perhaps you've picked up some tips here. Perhaps you'll find something useful reading Cal's planning strategy as well. Either way, beer trips are a blast! A walking pub crawl is nothing new but who wants to be the guide, gathering up people and making sure the bill is paid when it's time to move on to the next stop? Brewvana, that's who. 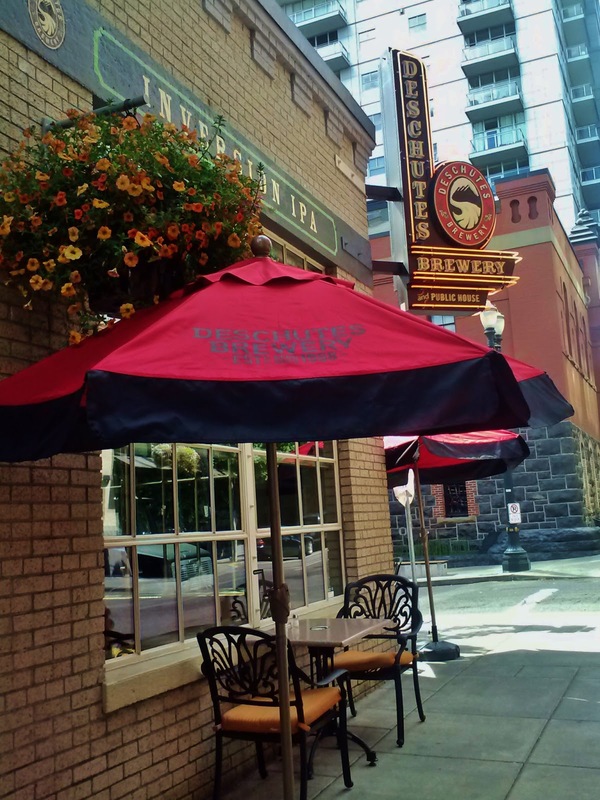 Starting in July they'll be offering walking tours Tuesday, Wednesday and Thursday in The Pearl visiting Deschutes, Pints and Rogue. I had a chance to be part of the dry run for the tour and just like hopping on the bus, the tour was all inclusive, well planned, led by a knowledgeable tour guide and above all, FUN. 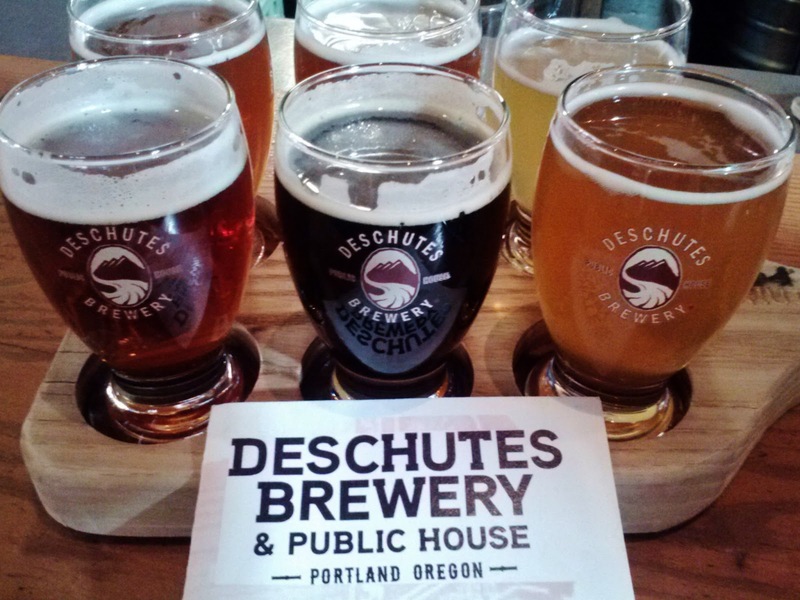 Starting with a full six-beer sampler tray at Deschutes right when they opened at 11:00 am was a heck of a way to start a Tuesday. I'm pretty sure I've had most of these beers before but since they're more mildly flavored than what I usually drink, they tend to get lost in the shuffle. This time, however, I was able to evaluate them with a fresher palate and found that I really enjoyed the Chainbreaker White IPA. The hoppiest of the bunch, Inversion IPA, still won out as my favorite however. In addition to tasting the beer, brewer Ben took time to tell us about their beer and answer questions. One bit of trivia that I got out of it was that 95% of the hops Deschutes uses are whole flower hops (as opposed to hop pellets). And I was reminded of my first glimpse at this place. It was right when they opened, back in 2008 when we were in town on a vacation. It seems hard to believe it's only been five years. 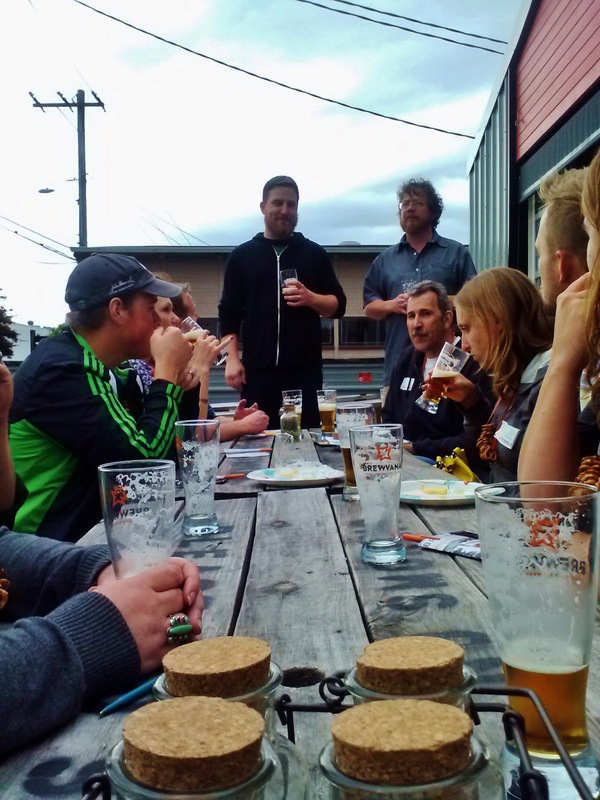 Before long it was time to finish our beers and meander to the next stop, Pints Brewing. Along the way our tour guide, Margot, talked about places we were passing, adding a bit of Portland historical education to our beer enjoyment. Arriving at Pints we were ushered to their back space, which is open to the brewery, where tables were set, waiting for us to sit down and start sampling beers. 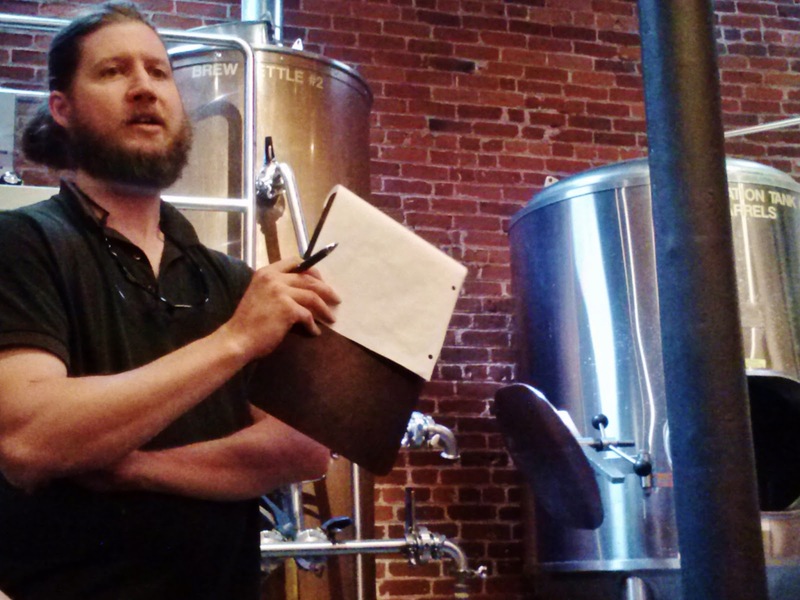 Brewer Alan Taylor talked us through the three beers - Grissette, Kolsch and Triple Whammy. Grissette had more banana aroma than I prefer and appropriately described as "grey." The Kolsch was much more my style yet more flavorful than many Kolsches I've tried. The yeast strain was one Alan had brought back from his time brewing overseas. The third beer, Triple Whammy, was a departure from the first two with the raisins and prunes that went into the whirlpool evident. Interestingly, those dark fruits didn't weigh down the beer and at only 7% ABV and it remained very drinkable. 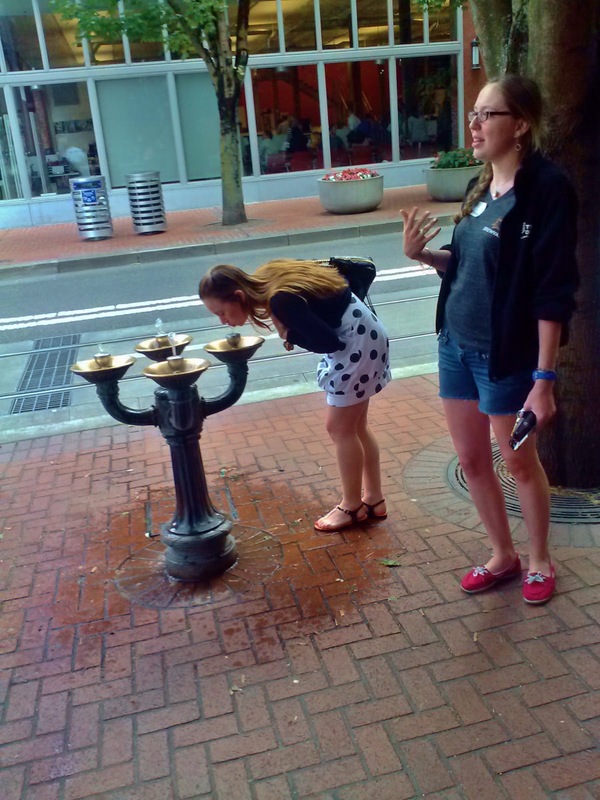 Our time at Pints over, our group was pointed toward Rogue, with the history of the city's Benson Bubblers covered, among other things. At Rogue we sidled up to one of their surf board-esque tables for appetizers and three more beers. The first was their Irish Lager, designed to float Guinness. Not a lager fan, it wasn't up my alley, but the next beer was. Brutal IPA was Rogue's first IPA and is its bestselling. The final beer, Rogue Farms Dirtoir Black Lager had a huge chocolate-y, boozy aroma and a very smoky flavor. It's not one I would drink on its own but I think it would be great with red meat. Three hours and twelve beer samples later the tour concluded. Even though all three breweries were ones I had been to before and their beers were familiar to me, I enjoyed visiting and learning more about each. So if you're looking for some mid-week, mid-day fun for yourself or perhaps for visitors, check 'em out. 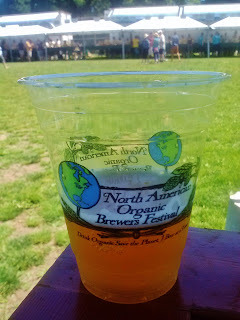 How could it be possible that NAOBF (North American Organic Brewers Festival) is this week? That would mean...oh, dear...that this is the LAST week of June. No...no, can it really be? Ambacht Brewing Ambacht G++ Ale - Although it's listed as a Belgian Strong Golden (not a favorite style of mine), it was aged in Heaven Hill whiskey barrels that were previously used by Hair of the Dog who left the cherries from Cherry Adam in the barrels. Great upcycling or not? We'll see. Fort George Brewery & Public House Forbidden Wonder Fruit Ale - A beer made with kiwis and "Forbidden Fruit" yeast. I've never had a beer made with kiwis so of course I'll have to try it. Laht Neppur Brewing Co. Peach Hefeweizen - I'm not a hefe fan, but I'm interested to see how the peaches play with the base beer. Logsdon Farmhouse Ales Aberrant - I generally like farmhouse beers and I've yet to have anything from Logsdon that I didn't like. Hopefully the streak will continue. Summit Brewing Co. Unchained #12: 100% Organic Ale - I miss drinking Summit's beers and you won't catch me missing the chance to have beer from an (old) hometown favorite. Two Kilts Brewing Co. BEET-nik - Over the weekend I had the best beet beer to date and it'll be interesting to see how this one compares. Uncommon Brewers Bacon Brown Ale - There's bacon in it. Enough said. This year is the 9th Annual NAOBF and it has grown to the point that it now covers four days, June 27 - 30. The location, Overlook Park, is a great space and I was pleased to find so many beers I enjoyed last year. I won't drink a beer simply because it's organic but if I have a beer that I enjoy and it happens to be organic, all the better. 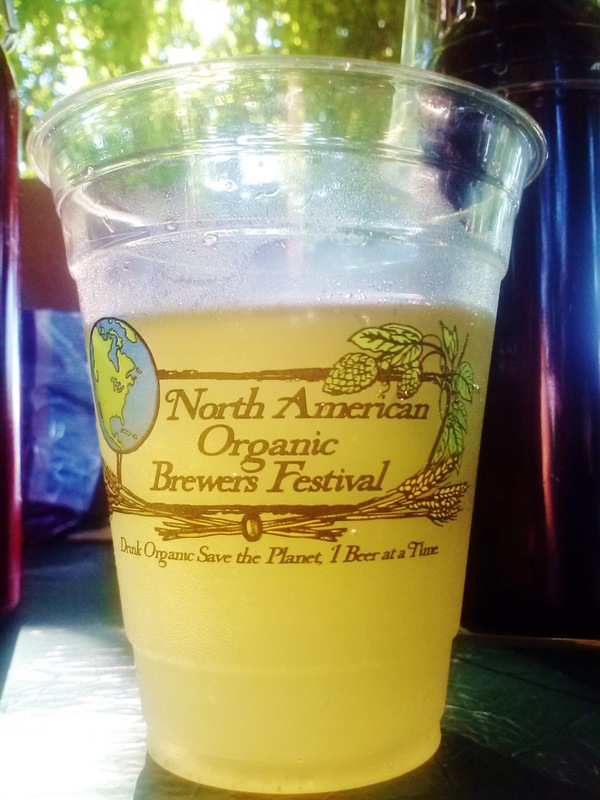 This festival does a great job of showcasing great tasting, organic beer. So far the forecast for the end of the week is looking perfect for drinking outdoors. See you there! 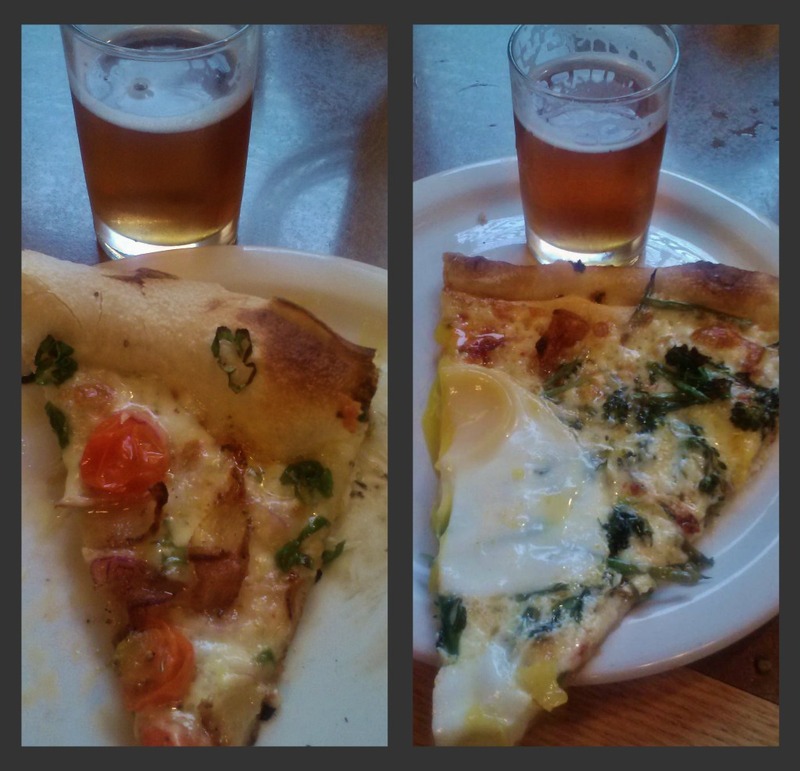 Pizza and beer, it's a no brainer, right? I mean we all ate our fair share of pizza and beer as college students/young adults. These days both my beer and pizza choices have evolved and last night I had a great dinner of beer paired with pizza, pasta, dessert and more. The dinner's location and food host was Pronto Pizza in Clackamas. Living in inner SE I'm not that familiar the area or the restaurants there. The brewery - Breakside Brewery - is another matter. 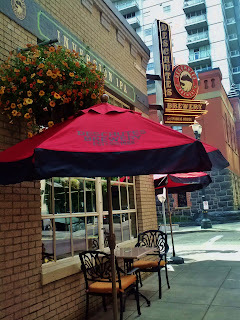 I've enjoyed their brews plenty both at their original location on NE Dekum and at other places around town. This German-inspired beer was brewed by Senior brewer Sam Barber, who joined brewmaster Ben Edmunds, to facilitate the dinner. 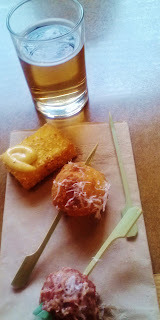 While my favorite of the three first course bites was the meatballs, they overpowered the lightly flavored beer; the polenta fries and risotto balls were much better matches. 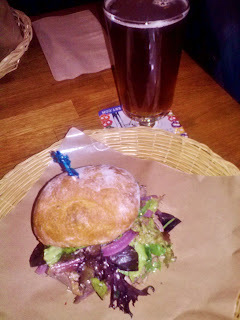 Not being a fan of Pilsners in general, it's a beer I wouldn't drink on its own but it went well with the bread salad. As one of my dining companions mentioned, the beer was a far better match with the vinegary dressing than a wine would have. This beer had the best story of the evening. Breakside purchased 100 lbs of duck bones from Nicky Farms and roasted in the pizza ovens at Nostrana before adding them to 100 gallons of wort. 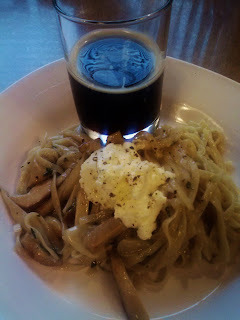 The result, a chocolaty porter, was not overtly ducky and did a great job of cutting the richness of the buttery pasta. The beer is Breakside's flagship and my kind of IPA with plenty of tropical fruit aroma and flavor. The pizzas, of which I had two, were supported by a great, crispy and flavorful crust, and topped with some traditional ingredients - tomatoes, bacon, onions - as well as some more interesting ones - roasted broccoli and eggs. The hoppiness of the beer helped to cleanse the palate and counter the slight greasiness of the pizza, making each bite fresh. The ice cream sandwiches came in a variety of combinations of which I chose chocolate ice cream between peanut butter cookies. 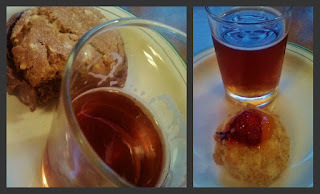 It was the cheesecake, a ginger cheesecake with lavender and strawberry-grapefruit compote, however that was the highlight of the evening when eaten with the 12.7% ABV beer. This is one of the most strongly bourbon scented and flavored beers I've had and while I'd struggle with a half pint of it on its own, it was pure magic with the cheesecake. The dinner was a great end to the weekend and well worth the drive to Clackamas. If you're in the area, stop into Pronto for some pizza and if you find yourself in West Linn, check out Rockstar Bakeshop. Maybe take home some cheesecake and enjoy it with a bottle of Breakside's Bourbon Barrel-Aged Aztec. 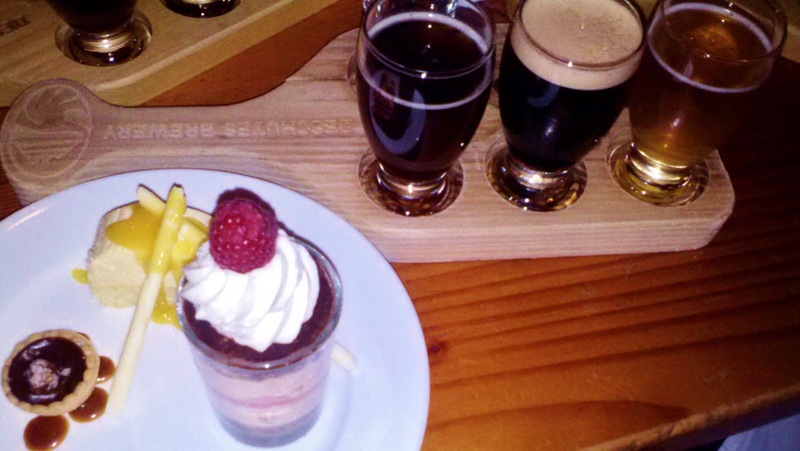 Cheese, Beer & Dessert - Does it get better? How do you follow up an amazing progressive beer dinner? How about an amazing night of cheese and dessert paired with beer? Yep, that'd do it. 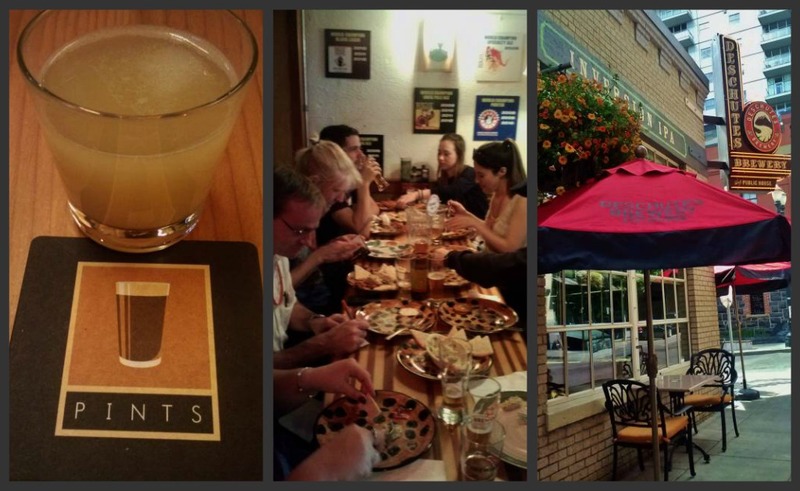 This Brewvana tour started at award winning cheese monger Steve Jones' shop, Cheese Bar. 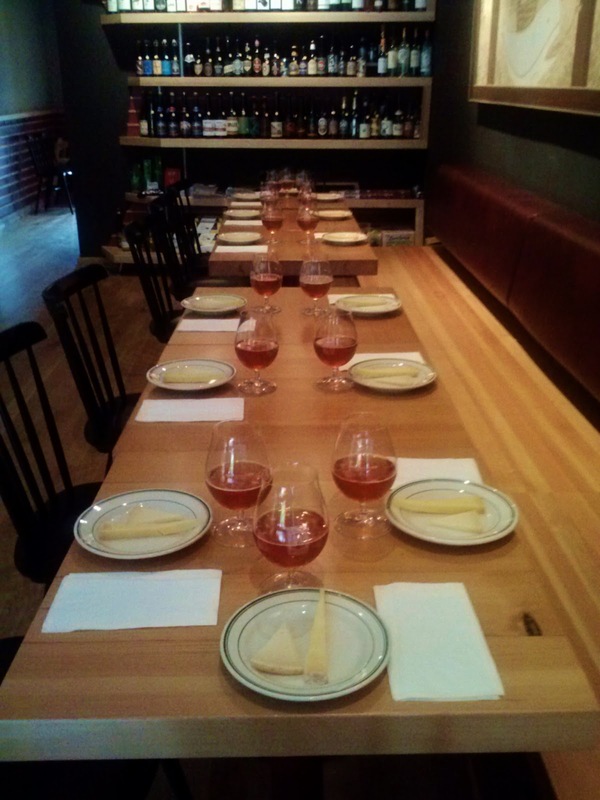 Modest in size but much larger in quality - the cheese selection, the extremely knowledgeable staff and consistently great tap and bottled beer selection - Steve has created an environment for enjoying and learning about cheese. On this night, we were also greeted with a table set and waiting just for us. After getting seated Steve presented the first pairing - Daily Bread Common Ale from Everybody's Brewing and Mt. Zion, a raw goat's milk cheese from Fern's Edge Dairy. The cheese was not a soft goat's milk cheese but one that had more dryness, not as much as a Parmesan but going that direction. Both the beer and cheese were mild, yet flavorful partners that worked together to compliment one another. The second pairing - Anderson Valley Oatmeal Stout with an English cheddar from Montgomery's - was given a bit of mystery when during the introduction Steve asked us to think about flavors from childhood. 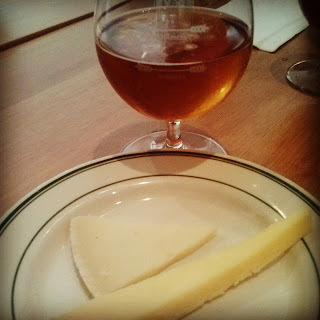 The assertive cheddar melded with and was mellowed out by the chocolate and coffee flavors of the beer and Steve was right, that was something familiar here. I wasn't able to figure the riddle out but was in agreement with him when he said it was reminiscent of a peanut butter cup. Beer + cheese = candy? Yep, and if you don't believe me or Steve, stop into his shop and try it yourself. Being only the first stop, we didn't have much time to linger but time enough for a couple of bottles to be bought for the road. Then it was off to Gigantic Brewing where Steve continued to share his knowledge of pairings and obvious love of both beer and cheese. Co-owner of Gigantic Brewing, Ben Love, filled our glasses with Gigantic IPA while Steve handed out Hannah, a mixture of raw cow and sheep's milk cheese, from Ancient Heritage Dairy. The firm, acidic cheese really made the hops pop in the assertive beer. Another winner of a pairing. Next we headed inside for a tour of the brewery, including a look at something that made me very happy - used barrels from Buffalo Trace Distillery and others. Ben didn't give specifics but you can bet I'll be keeping my ears open for when the aging is done and the beers are ready for consumption. The evening was marching on and in no time we were hopping back on the bus, traveling across the river to Hillsdale. The welcome mat was rolled out for us at Sasquatch, complete with cones reserving space for our bus to pull up right outside their doors. 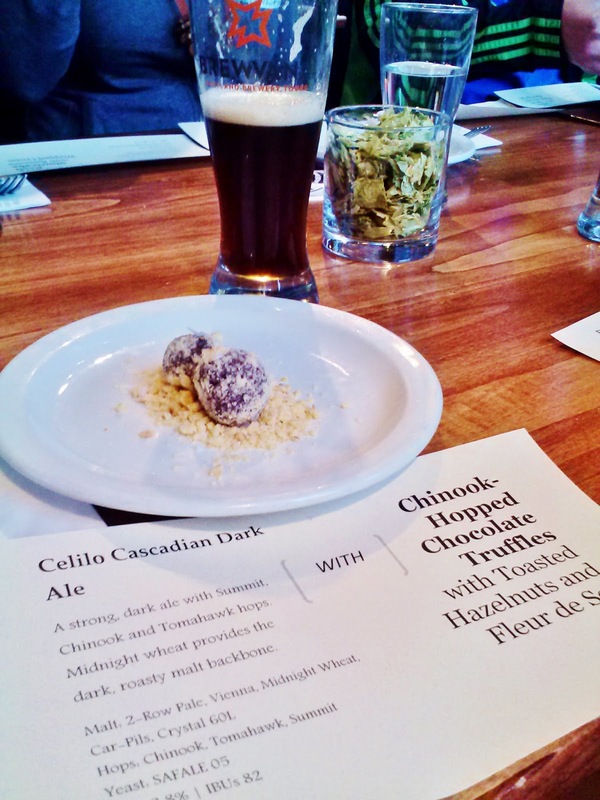 Inside the table was set with half of our first pairing - Chinook-Hopped Chocolate Truffles with toasted hazelnuts and fleur de sel. Salted chocolate is always a winner in my book but pair it with a CDA and I'm one happy camper. 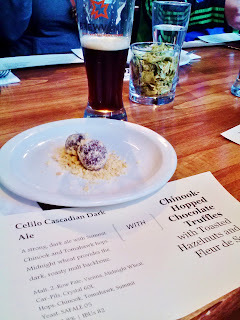 Sasquatch's Celilo Cascadian Dark Ale had a flavor profile similar to the truffles but with enough hops to counter the sweetness. I'd love to see these two-bite truffles become a standard on their dessert menu; they're perfect when you want just a little something sweet at the end of the night. The next pairing took us away from the dark side and into the light with a beer you wouldn't usually find in my glass. 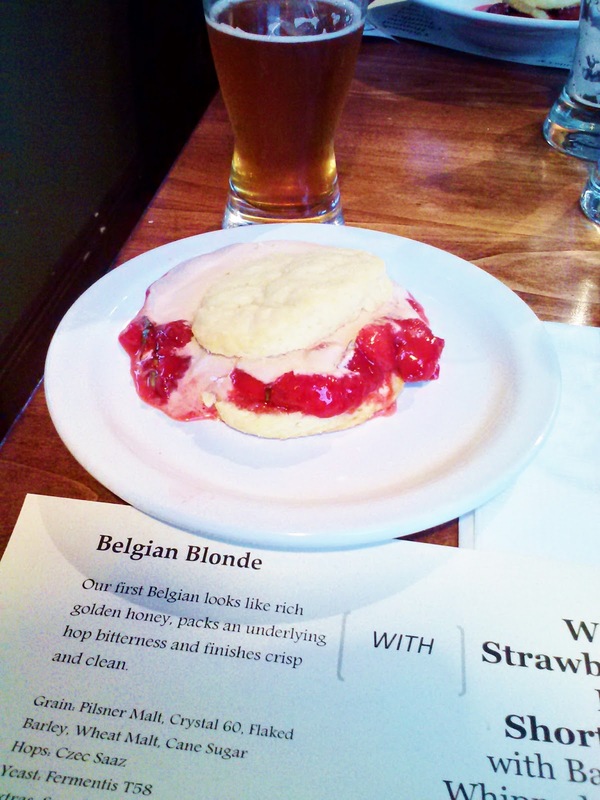 Their Belgian Blonde came matched with balsamic whipped cream and warm strawberry-basil filling stuffed in a shortcake biscuit. I would have enjoyed the dessert on its own but the beer, which I probably wouldn't enjoy on its own, made the dessert even better. The whole experience at Sasquatch from the warm welcome to brewer Charlie Van Meter's descriptions of the beers to the chef's food insights made for a great end to the tour. 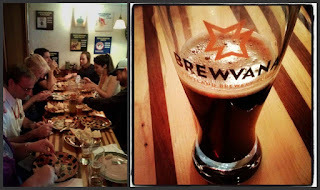 One of the many specialty tours Brewvana offered during PDX Beer Week was a progressive dinner led by Lisa Morrison (the Beer Goddess and new co-owner of Belmont Station). 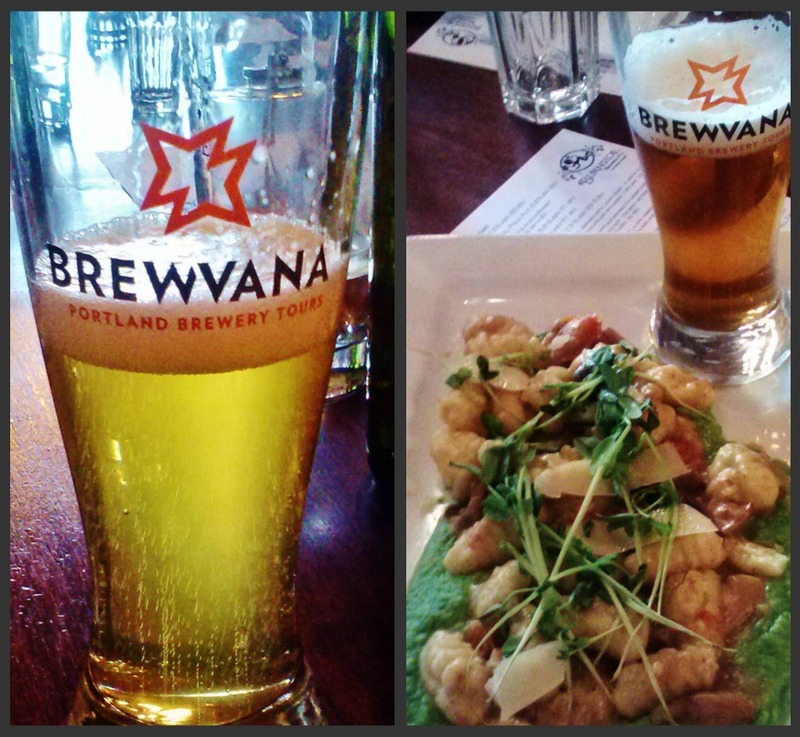 The tour was a three course, three stop evening of food and beer pairing deliciousness. First up was Beer, the taproom and bottle shop housed next to Meat Cheese Bread on SE Stark that opened at the end of 2012. Waiting for us when we arrived was a mini version of one of my favorites from the Meat Cheese Bread menu, the Park Kitchen, paired with Ninkasi's 2010 Critical Hit Barleywine. The oversized slider was packed with flank steak, blue cheese, greens and pickled onions. Both the sandwich and the beer were bold flavor offerings, with neither overpowering the other. The pairing was so perfect that I would have been happy to spend the entire evening with more of the same. Alas, after a palate cleansing sample of Coalition's Wheat the People it was time to move on. Next it was off to Burnside Brewing for the evening's entree. 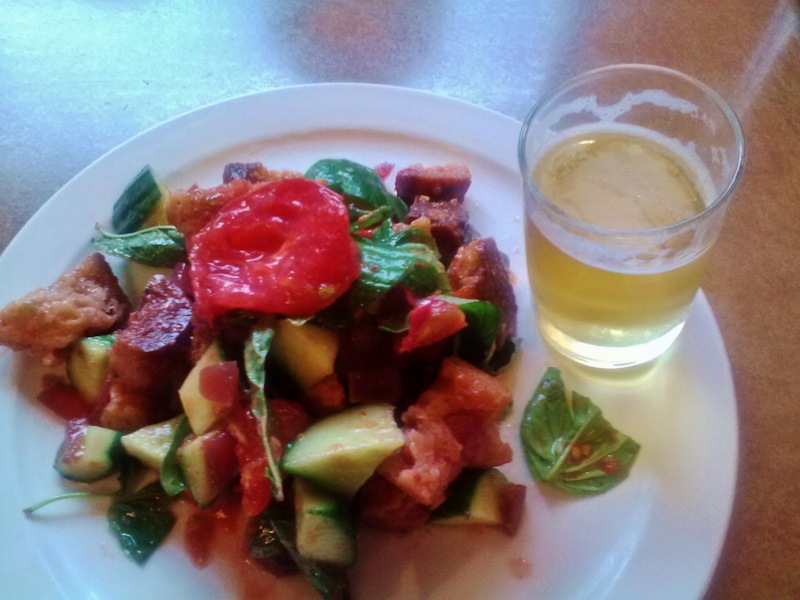 As we were getting settled in and our meals prepared we were poured glasses of Burnside's very refreshing Lime Kolsch. 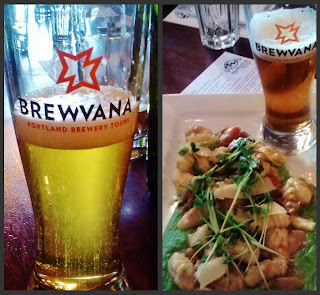 The entree, a choice of smoked jerk chicken leg atop crispy rice cake with pickled bok choy or gnocchi with king trumpet mushrooms, dried tomatoes and pea tendrils on a bed of spring pea puree was paired with Premier Enfant Biere de Garde. Hesitant about the muscovado sugar and cocoa nibs new brewer Sam used in his first beer I was pleasantly surprised to find it very enjoyable, particularly with my plate of gnocchi. And the pea puree, well that goes right up there on my list of foods I've most enjoyed at Burnside, along with their white bean truffle spread (which sadly is not currently on the menu). For the final course of the evening we headed across the river to Deschutes. There we were presented with not one dessert, but a trio of desserts and a three-glass paddle of beers to pair with the sweets. The lightest of the desserts, in both color and flavor, was a passion fruit creation that was somewhat overpowered by the 8.6% Double Impact Belgian IPA. Perhaps a more mildly flavored or lower ABV Belgian beer would have paired better. Instead of pondering that question I answered the call of the other two pairings. A beautifully layered "beer-a-miso" was paired with one of Deschutes' signature beers, Obsidian Stout, that was served on nitro. The combination of chocolate and raspberry flavors was stupendous. The pairings were only getting better and I was eager to dive into the final one that consisted of a petite salted caramel tartlet no bigger than a half dollar and Mr. Spelt Dunkelweizen. The salty, dark chocolate flavors of the tartlet were bigger than one would think could come from its diminutive size and my general dislike of dunkel beers was forgotten as I relished in the beauty of the pairing. It was a night filled with delicious food and beer with the added bonus of being surrounded by a great group of people who were as excited about the experience as I was. With downtown "done" we headed east, quite a bit east through some less than attractive areas of Colorado Springs to hit two breweries that hadn't been in existence the last time we were in town. We turned off the main road into a light industrial area and within in a block there was a sandwich board sign confirming that the brewery we were searching for was at least in existence. Rocky Mountain Brewery, situated on corner of a T-intersection with a bright yellow food cart (B'z BBQ Company) helping to define one side to the twinkly light strewn outdoor patio, was the one spot of activity in an otherwise empty area on Saturday afternoon. Entering the metal sided blue building, the interior was VFW-esque with a beer menu boasting some very non-VFW-esque beers. The one that caught my eye was named "Eat a Peach" so I asked the beertender, who turned out to be one of the owners and named Duane, what he could tell me about it. His answer was that it was just like eating peach cobbler. A fellow drinker added that it was a World Beer Cup winner (Gold in 2012). I took both of those as good indicators and ordered up a half pint. The words "liquid peach cobbler" really don't do it justice and if I could offer smell-o-vision, this would be the perfect place to use it. Yes, it was a sweet beer and one you wouldn't want to drink pint after pint of, but it was also so good that I'd implore you to try it if you have the chance. Another sweet one from the line up of nine beers was their Yellow Apple Cyder. It was not as carbonated as I would have expected, which might help cut some of the upfront sweetness, but thankfully finished a bit drier. Like Eat a Peach, a half pint shared between the four of us was enough to satisfy our curiosity. Moving past the sweet offerings, I was intrigued by the Szechuan Porter, which was only being offered in 4-oz pours. Duane described it as having all of the flavors of a Szechuan sauce, without the salt. Sure enough there was a smoky heat to it along with ginger flavor and although it wasn't one I'd pick to drink on its own, I think it would be outstanding with pot stickers. Once we had made our way through their offerings, half pint by half pint, we headed south to our final destination - Kraft Beer/Smiling Toad Brewery. It wasn't hard to find, a small building surrounded by an asphalt moat and adjacent to an auto repair shop. In the bright of the afternoon it wasn't clear if they were open but we found the door unlocked and a couple of patrons inside. The chalkboard beer menu announced six beers on tap and for our first round we decided to hold off on the wheat and blonde, starting with Green's ESB, Jumbe Porter, Erroneous IPA and Mat's Green Fiend IPA (which at 8.2% ABV is technically a DIPA), which we took out tot the small side patio. The Erroneous was the stanky kind of IPA I enjoy the most and my favorite of the first round. Ordering up the wheat and blonde next, I was taken by surprise at how much I enjoyed the fully flavored Spring Blonde. In addition to tasting our way through the beers we also had a chance to talk to Biff, the new owner. He explained that he had bought Kraft Beer earlier in the year and just received the license a couple weeks ago that would officially change the name to Smiling Toad, thus explaining the disconnect between the interior and exterior signage. After enjoying our pints we went inside to deposit the empty glasses before departing and were intercepted by Biff, insisting we try the Lavender Lager. The IPA I'd enjoyed so much had just blown and the lager was being put on in its place. Curious, I took a whiff and was rewarded with a floral lavender aroma that was followed by a light and slightly sour taste. The pale, unfiltered beer wasn't much to look at but I was impressed with Smiling Toad's twist on a California lager. A long day behind us, it was time to head back to the hotel for dinner and to finish off the remaining beers we had picked up at the liquor store the first day. The final drinking day of our trip had started off with a fizzle but it ended with an explosion of flavors at two, off-the-beaten-path breweries that we found out were well worth seeking out. Day three of our beer adventure found us starting with lunch at Phantom Canyon Brewing in downtown Colorado Springs. This was another of the places we'd visited ten years ago and after a brief look inside and settling on a patio table I found it to be much the same as I remembered. 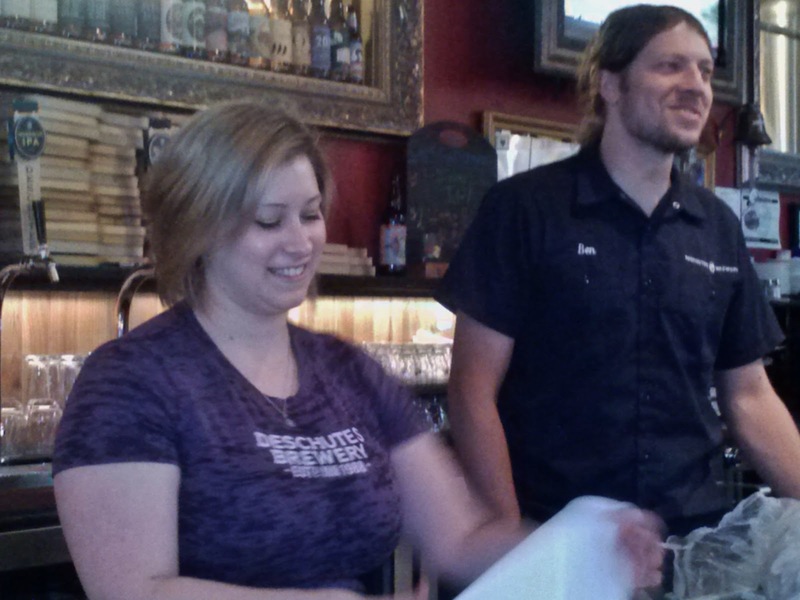 The tap list consisted of six year round beers and an additional five specialty brews. I can't say that any of them sounded overly exciting so I played it safe, starting with The Streamliner IPA. While it was malty, enough of the hop profile from the four varieties used stood out to make it a solid IPA in my book. Two of my cohorts opted for pale ales, one with Kakapo, a New Zealand Pale Ale and one with Two Moons Pale Ale. The Kakapo utilized Pacific Jade hops which I don't think I've had previously and provided a mid-tongue pepperiness. Two Moons went with Summit and Apollo hops and came across as more heavily bodied and malty, which I preferred. While none of the beers we tried were particularly thrilling, none of them were bad or off, most likely anyone could find something on their beer menu that would work. Once finished with our beers and lunch we sauntered across the street to Judge Baldwin, situated within a Hilton. As we settled into chairs and took a look at the beer menu we were surprised not to see any of their beers on tap. To be sure that we weren't missing something we asked the waiter and he confirmed that they were no longer brewing (even though the brew house still appeared to be intact behind the bar). They had discontinued brewing operations a year prior and although their tap list was better than one would find in most hotels we decided to move on. Just a few blocks away was Il Vicino, a third place we'd previously been to, that was primarily a wood fired pizza restaurant. At this point I figured there was a 50/50 chance they would still be brewing. Luckily we found out they were and with three options available we readily ordered up a pint of each plus one of Bristol's Laughing Lab (that hadn't been available at the brewery). The Pig Tail Blonde Ale was very carbonated and although much sweeter than I would have expected for the style, it was a pleasant honey sweetness that wasn't bad. The Slow Down Brown was roasty without being too sweet, something that was a concern after the Blonde. The final of the three was Wet Mountain IPA and while either the amount of hops or possibly the use of German Northern Brewer hops wasn't something that appealed to me, at least one of my cohorts found it pleasant. As we were drinking our beers the manager explained that while they no longer brewed on this site for their Colorado locations, their New Mexico locations did still brew. 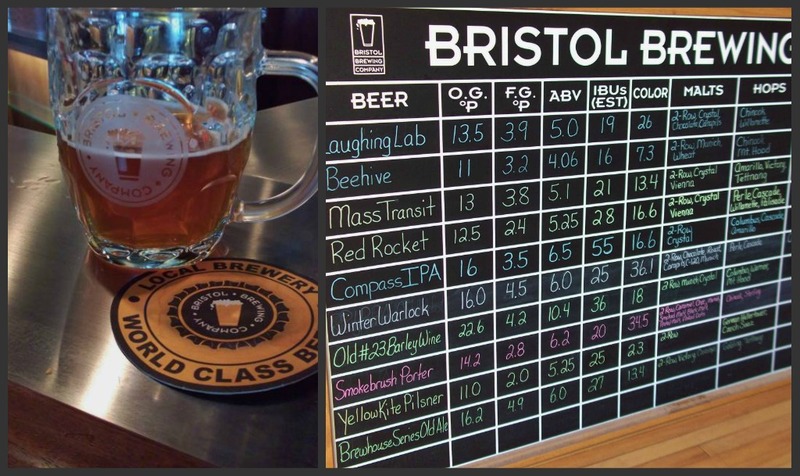 Apparently in 2007, after the opening of two Denver locations, the Colorado Springs location could no longer keep up with demand and they contracted Bristol to brew their recipes (which explained the presence of Laughing Lab on tap). Not being in the mood to linger we concluded our time in downtown Colorado Springs and headed east in search of a couple newer breweries, praying to the beer gods for better luck in the latter half of the day. Check back tomorrow to read all about it. Our second day in Colorado started off much more promising, albeit slightly rocky. 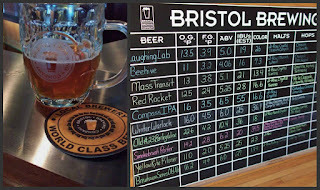 We planned to have lunch at Bristol Brewing, a place that we had visited last time we were in Colorado Springs however upon arriving at the address listed on their website, there was no brewery to be found. Instead we found a vacated space which upon further inspection directed us a short distance away to the Ivywild School. It seemed odd but we followed directions and sure enough, arrived at a former school which is in the process of being renovated to house a variety of businesses, including Bristol. The new taproom was much larger than its former self with windows overlooking the brewing space, some of which was currently being used and some of which was still being installed. They were out of a few of the beers listed on their menu but there were still plenty to try and enjoy. Tops for me was, surprisingly, Red Rocket Pale Ale. It's not a style I usually enjoy but Bristol's version was nicely hopped and full of flavor. Their Compass IPA was also enjoyable and available both "regular" and on nitro. As with other IPAs I've had on nitro, I didn't enjoy it as much as the hop bite I so enjoy gets muted. Our next stop was Great Storm Brewing, housed in a small, unattractive strip mall in a fairly unattractive area of Colorado Springs. It wasn't however hard to find and once inside it was easy to forget the exterior surroundings. In addition to full pours they also offered 8-oz and 4-oz pours, which I took advantage of with my first beer - Rum Raisin Stout. Generally I wouldn't start with an 8.1% oatmeal milk stout but my cohorts had already ordered "the usual suspects" and I wasn't overly interested in the remaining offerings. The beer was a meal in a glass - sweet, roasty and one that would be difficult to finish in full pint format. Through the course of subsequent orderings of 8-oz pours we made it through all the beers and were pleasantly surprised to find that Get Buzzed Honey Beer, a golden braggot, and Shine On, an oaked Belgian strong, were really great beers. Their styles are ones I'm not usually drawn to but both had sufficient sour characteristics that won me over. The last stop, Trinity Brewing, was the one that I was most looking forward to due primarily to the release of their Berliner Weisse that afternoon. We arrived before the release and perused the beer menu. There were six of their own beers on tap, another 10+ 750ml bottles of their other beers and an assortment of guest taps. Our first round consisted of Sunna Wit, Soul Horkey Ale, an IPA and Slap Your Mammy double IPA. The IPA was the best we'd had on the trip, with a great stanky aroma and flavor. Our waitress came around once the Berliner Weisse, Ten Minutes of Pleasure, was available and we promptly ordered a bottle. 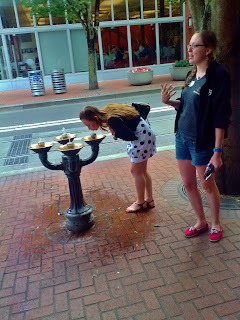 It was a delicious representation of the style and one that ranks right up there with ones being produced in Portland. After starting down the bottle road we proceeded to try Damn It Feels Good to Be a Gangsta and TPS Report. 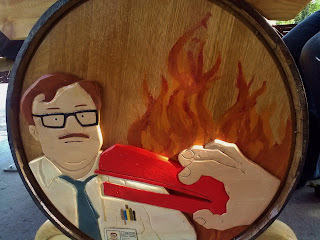 As fans of "Office Space" we appreciated those references along with others in the beer names (Oh Face) and the artwork adorning one of the barrel-based outdoor tables. The TPS Report gave off huge coriander and citrus notes although those flavors were more muted in the flavor, likely due to the barrel aging. I will most certainly be keeping my eyes peeled for some of these bottles to hit Portland shelves in the coming months as the head brewer has family in Oregon and will be making a trip to Portland to introduce his beers to the market. While we hit the same number of breweries as the first day, day two was far more successful and enjoyable. Day three was certainly going to have some big shoes to fill in order to equal it and giant sized ones to fill in order to exceed it. We're in Colorado, a place we've visited often and a place that was a top contender three years ago when we decided to leave Minnesota. Our recent trips here had taken us to Fort Collins, Boulder and Denver so this time around we decided to spend our time in Colorado Springs. We're going to skip ahead a bit and start with a liquor store run at the end of the day. Checking out, the clerk asked us what we were doing in town. "Beer" was of course our answer. His answer was that we should definitely get up to Denver to check out places up there. That a) surprised me and b) made me a little sad. Coming from areas (Portland now and the Twin Cities previously) that tended to be very proud of the beer being produced in their area I expected a suggestion for a bar or brewery in town. Yes, I understand that Colorado Springs is not far from Denver and there are more (and possibly better) options in Denver but really? Reflecting on the three places we'd visited I have to admit that he might not have been entirely off the mark. Two of the three places weren't remarkable. The first, Rockyard American Grill & Brewing Company, is actually about halfway between Denver and Colorado Springs and a place we had visited 10 years ago. Back then, according to my notes, we'd really enjoyed their IPA and found their beers in general to be aggressively hopped. My palate has changed since then, and possibly their recipes, too, however I wasn't overly impressed with the Hopyard IPA. The Lightning Strike Stout on the other hand turned out to be a nice, well-balanced stout and the Redhawk Ale a less malty version of a red than many. One thing that hadn't changed was the fire roasted salsa; it was as good as I remembered. Our second stop took us to Colorado Mountain Brewery. They have two locations and we visited the northern one, which sits opposite the Air Force Academy. Just as at Rockyard, we took advantage of the mild afternoon and sat out on the patio (of which this CMB has two). The beer list here was smaller and offered your standard line up - blonde, hefe, amber, IPA and stout - along with one seasonal brew, which turned out to be a ginger beer. None of them were outstanding although the ginger fell into the "just right" category of enough ginger flavor to enjoy it but not too much to be overpowering. Better than the beer was chatting with a local (who had the cutest four month old weiner dog-Chihuahua puppy), who told us that we should check out Pikes Peak Brewing, just a couple of exits north of CMB. Taking her advice we declined a second round, hopped into the car and upon arriving at Pikes Peak knew even before we'd tasted the beer that this place was going to be the best so far. It is situated in the end unit of a short strip mall but once you enter the doors, that is wiped from your memory. In addition to the main taproom area, there's a second barrel room space that is big enough to host a brewer's dinner as well as an outdoor patio. 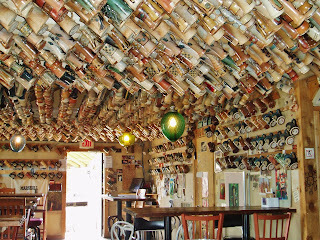 The place was buzzing and had the feel of a place that people who enjoy good beer go to. As for the beer itself, I found their Elephant Rock IPA to be more malty than I like my IPAs to be but there wasn't a blonde or an amber to be found on the list and overall we agreed that they were turning out pretty good product. Deciding to end our day's adventures on a high note we proceeded to the hotel, hit the previously mentioned liquor store and then settled in for pizza and beer. A nice, tame ending to the first day of what will likely be a fun marathon of drinking in Colorado Springs.